N Chandrababu Naidu was in Delhi to protest against the centre over his demand of a special financial status to Andhra Pradesh. Even as many anti-BJP parties are preparing for a solo fight in their states for the upcoming Lok Sabha elections, TDP chief N Chandrababu Naidu is still hopeful of an alliance between "secular" parties before the elections, due by May. He said a grand alliance between the Congress, Mamata Banerjee's Trinamool and Arvind Kejriwal's AAP and his party may still come into existence. Mr Naidu was in Delhi to protest against the centre over his demand of a special financial status to Andhra Pradesh. He said that national interests would make parties come together, news agency IANS reported. Chandrababu Naidu was talking with the Congress and other regional political parties for an anti-BJP, pan-India alliance. However, the talks went south before the alliance could be formalised. In Uttar Pradesh, Mayawati and Akhilesh Yadav have entered into an alliance, leaving the Congress out. The Trinamool Congress wants to go solo in West Bengal. Mr Naidu's party, which contested the Telangana assembly polls in alliance with Rahul Gandhi's party, also wants to contest polls alone. Mr Naidu, however, has not lost hope. He said many like-minded political parties would come together after the elections. "There is a secular compulsion for the parties to tie up with each other to defeat the BJP," he was quoted as saying by IANS. Mr Naidu gave an the example of Left parties and the Congress. He said the two political powers had come together in 2004 to form a government at the centre, despite contesting elections separately. He also dismissed BJP's challenge. "Where is the BJP going to get the numbers?" he quipped. He said the BJP would not be able to repeat its performance in states where it had done well in 2014. The BJP had won 71 out 80 seats in Uttar Pradesh in 2014. However, in the previous elections, Mayawati and Akhilesh Yadav, whose parties' cumulative vote share was more than the BJP, were not in an alliance. Their alliance, experts say, will prove to be a challenge for the party. The Congress has also pulled out its trump card by making Priyanka Gandhi Vadra join active politics. She has been made the joint in-charge for the state along with Jyotiraditya Scindia. The BJP had won 62 out of 65 Lok Sabha seats in Madhya Pradesh, Chhattisgarh and Rajasthan. However, the party lost the states to the Congress last year. While the opposition has shown unity on a number of occasions lately, the BJP is facing bickering from his allies in Uttar Pradesh and Maharashtra. Shiv Sena leader Sanjay Raut on Monday attended Mr Naidu's protest. 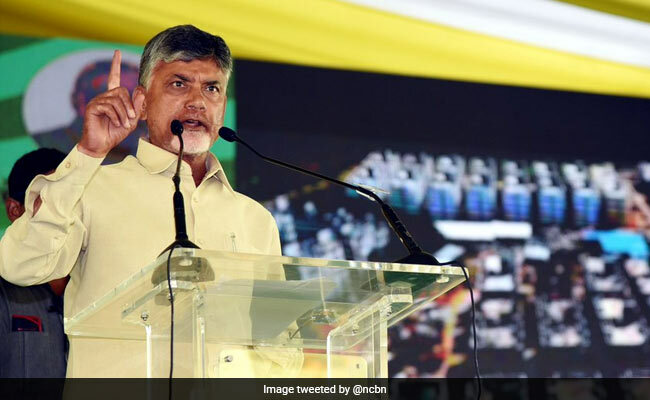 The Andhra Pradesh Chief Minister's one-day fast to demand special status to his state was attended by opposition leaders like National Conference chairperson Farooq Abdullah, NCP's Majeed Memon, DMK's Tiruchi Siva and Loktantrik Janata Dal's Sharad Yadav. Congress leaders Digvijaya Singh and Kamal Nath were also in attendance.